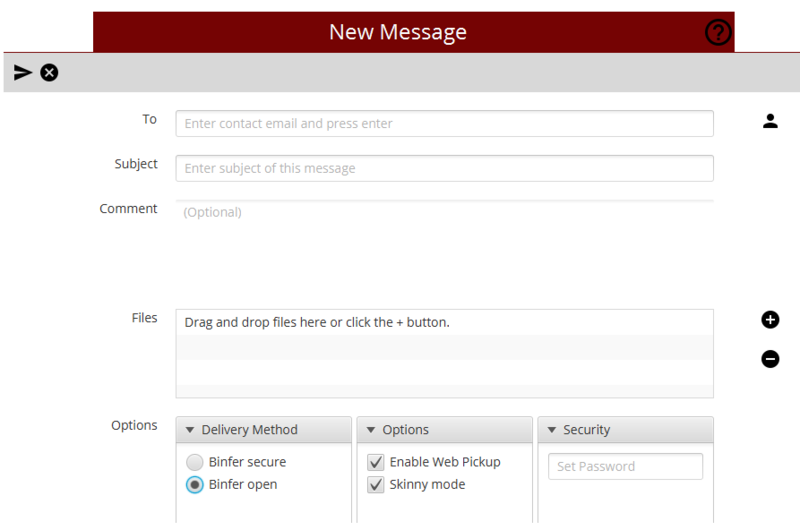 Binfer’s Message feature allows users to send two types of messages a Secure Message and an Open Message. An open message mostly looks to the recipient like an email. The difference is that while one can read the text of the email body directly from the Email client, the attached files cannot be seen until the recipient clicks on the link labeled ‘Receive Files’. A new window will appear in the recipient’s browser bridging a direct connection between the sender and receiver, thus revealing the attached files in the message.